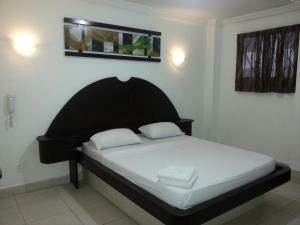 ﻿ Best Price on Hotel Doral in Panama City + Reviews! Hotel Doral offers accommodations in Panama City, just 12 minutes away from the Canal of Panama, and 9 minutes from Albrook Mall. The 128 rooms include a TV with cable channels, some rooms have views of the sea, mountains or city. Every room has a private bathroom equipped with a bath or shower. There is a 24-hour front desk at the property. The property is just a 30 minutes drive from the Internacional Tocumen Airport, 7 minutes from the Ancón Mount and within walking distance of Central Avenue, the seafood market, the coastal strip and Causeway de Amador.